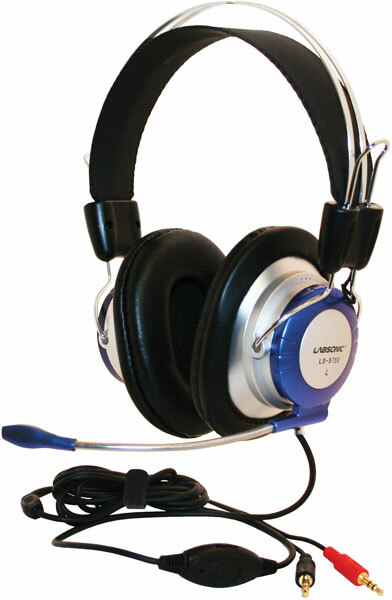 The popular Labsonic LS5750 Deluxe Stereo Headset now comes in a tablet-ready model. The LS5750-M comes with a 35TRRSM adapter that works with any single jack tablet, smartphone, or other mobile devices including: iPad®, iPhone®, iPod®, iOS®, Android®, Kindle®, Kindle Fire®, Galaxy, Kuno, Kineo, and many more! Remove the adapter to use the headset where separate headphone and mic jacks are required (i.e. computers, tape recorders, etc.). The tablet-ready LS5750-M is built to withstand the rigors of classroom use, with stereo audio quality that rivals high-end consumer models at a fraction of the cost. High-quality sound is produced from the 57mm drivers that create well-defined treble and deep bass response. The headset also features a flexible metal boom mic with noise-cancelling circuitry to reduce external sounds when speaking into the microphone. Adjustable headband is comfortable for students of all sizes, and around-the-ear leatherette earpads provide comfort and reduce outside ambient noise. Cable features inline volume control and two gold-plated 3.5mm stereo plugs (one for the headphone and one for the microphone), and works with any computer or boombox with both a headphone and microphone 3.5mm input jack. And with the included adapter, you can now plug in the LS5750 to any single-jack tablet, smartphone or other mobile device. Built rugged for the classroom environment. 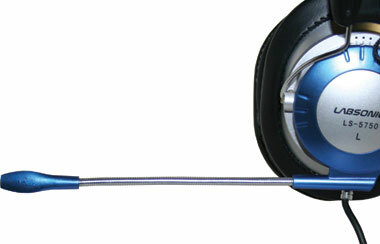 57mm drivers produce well defined treble and deep bass. 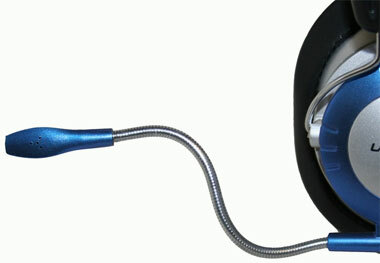 Boom microphone is constructed of flexible metal and contains noise-canceling circuitry. Adjustable headband comfortably fits students of all sizes. Comfortable around-the-ear leatherette earpads reduce ambient noise. With the adapter removed, the headset will work with any computer that has both a 3.5mm headphone and microphone jack.